Hello my wonderful, bookish friends! 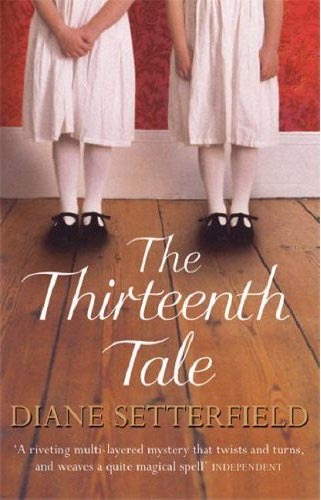 This week I read a BRILLIANT book called The Thirteenth Tale. I gotta tell you, I really like books about twins. Especially because the twins are usually a bit kooky! If you like kooky stories, twins, big houses, bookshops, authors, and author interviews, you are going to get into this book. I loved every word and was completely satisfied by the ending. I give it 5 stars! My first favourite book of the year is still 11/22/63 by Stephen King, because time travel stories are always top of my list! Not sure what I'm going to read next. My Mum gave me a stack of books on Saturday, and, of course I have HEAPS more, on my TBR shelves. Mum said The Outcast is a fantastic book, and thought I should start there. Are there any here that you have read and given 5 stars?? I'm joining up with Sheila at Book Journey, where we always have a lovely time talking books! What lovely looking books! I enjoyed The Memory Keeper's Daughter...The Thirteenth Tale is definitely going on my list. Thanks for sharing, and for visiting my blog. I haven't read The Thirteenth Tale or The Secret Garden - I'm definitely looking into them since they are 2 of your faves. Hope you have a great week. It has very peculiar characters that grabbed my interest, and I noticed on goodreads there were only one or two people out of about 100 who thought it was too slow or rubbish, lol! I loved The Thirteenth Tale! I just started 11/22/63. 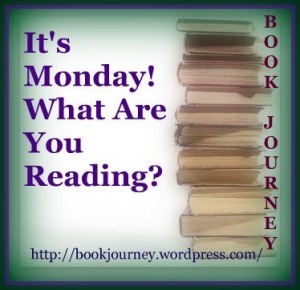 Have a great week of reading. I enjoyed The Memory Keeper's Daughter, I hope you do as well. Have a fab week of reading!! I enjoyed The Lavender Keeper and i am a fan of Gabrielle Lord - I have her latest book - due out next month here for review. How nice of your mom to give you that big stack of books! I love sharing books with my family.